Jaipur : Home shopping Network Shop CJ Network Pvt. 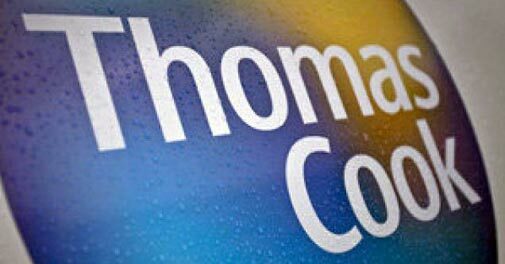 Ltd has announced a marketing alliance with Thomas Cook (India) Limited, India’s leading travel and travel related financial services company, to showcase the Thomas Cook ‘Holiday Savings Account’ – a pioneering and affordable holiday solution for today’s burgeoning Middle India. Shop CJ’s wide consumer base will enable Thomas Cook (India) Ltd access India’s rapidly emerging Middle India travellers with its Holiday Savings Account range of 15 tour packages across popular international destinations, including, Europe, Singapore, Thailand, Dubai, Malaysia, Sri Lanka as well as domestic favourites like Andaman, Himachal, Kerala, North East, Kashmir, Bhutan, The Golden Triangle & Goa. The marketing alliance between the two is a first of its kind in India. Shop CJ is poised to cross INR 1200 crore turnover this year, recording a 40% growth over its sales of INR 850 crore achieved in the last fiscal ended Dec 31, 2014 Shop CJ’s reach extends to more than 6.5 crore households in India and currently caters to about 40% of the market and this marketing association with Thomas Cook (India) Ltd. will serve to enhance Shop CJ’s product portfolio with the great value proposition of the Thomas Cook Holiday Savings Account tour packages. Commenting on the marketing alliance with Thomas Cook (India) Ltd., Kenny Shin, CEO of Shop CJ Network said, “The home-shopping industry is growing rapidly in India and Shop CJ is expanding its market share by entering into a new segment to create a unique shopping experience for its consumers. Shop CJ, with a footprint of 75 million households will create great value for its consumers with Thomas Cook India’s unique and affordable Holiday Savings Account range of holidays. Abraham Alapatt, Chief Innovation Officer & Head – Marketing and Service Quality, Thomas Cook (India) Ltd. said, “Our Holiday Savings Account is a truly innovative product that allows customers to Save, Earn and Travel! Its unique concept allows customers to save via 12 easy installments while earning an attractive interest (via our Bank Partners Indus Ind, ICICI and Kotak Bank), with further benefits of a Thomas Cook top up on the 13th month and a zero exit penalty. Indeed a significant consumer empowering tool”.